Animal assisted therapy (AAT) is a form of therapy that uses animals in treatment to improve social, cognitive, motor and emotional functioning. What types of animals are used in therapy? Highly trained dogs and cats are most commonly used in animal assisted therapy. Animals and their owners typically undergo several months of classes, testing, and shadowing before beginning to participate in therapy. How can Animal Assisted Therapy help? Studies have shown that incorporating animals into therapy can lead to increased participation and fun. 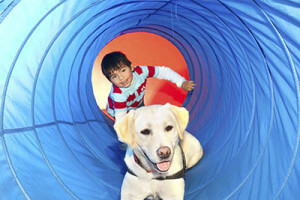 Typically, animal assisted therapy creates an increase in children’s motivation to complete therapy goals. These goals can cover a wide variety of areas. 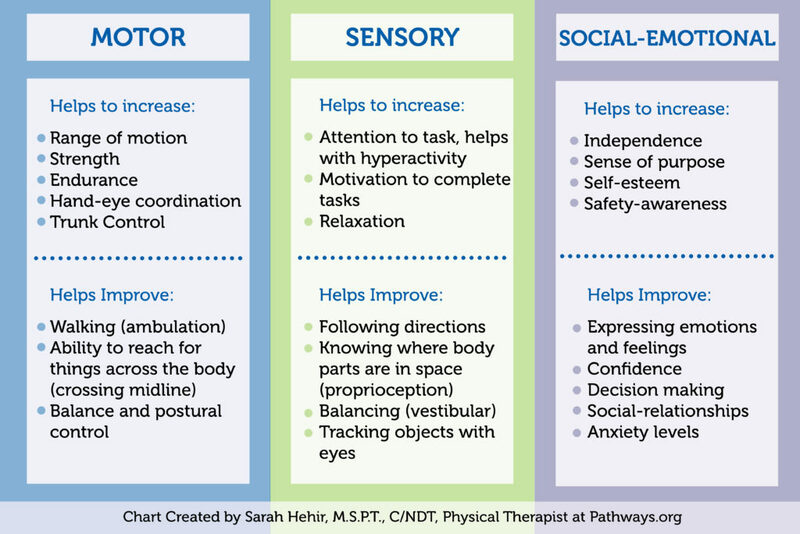 What are some examples of animal assisted therapy? A child who has difficulty walking and works on this in physical therapy might better enjoy this task or walk farther than normal when charged with the task of walking the dog and providing it with exercise. If a child is working on sense of space(proprioception), they might be more aware of boundaries and be better able to follow directions if accompanied by an animal during an obstacle course. In a speech therapy scenario, a child can work on giving directions and using speech. This may involve commanding or instructing an animal to complete a task (e.g. fetching). Find out ways to get your child early intervention services. 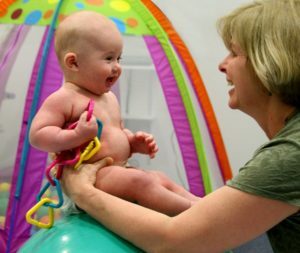 How to help your baby if a developmental delay is suspected.